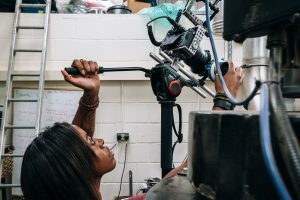 Tamara Gabriel is a freelance filmmaker based in the UK, where she focuses on making short documentaries and narrative films. I’ve always had a passion for photography ­ ever since I was a kid and was given my first film camera. A few years ago I decided to buy myself a DSLR just to do photography as a hobby and then maybe mix it in with the website development side of things, but then I started playing around with video as well, and immediately fell in love with making films! The stuff I made in the beginning was nothing great, but I was eager to learn everything I could, and I was just happy to shoot anything and get it back to my PC for editing. Then I got my DJI Phantom 3 Professional so that I could shoot aerial footage too, which was awesome to see environments from a different perspective. I just wanted to keep filming and put it all together. Then I started to pay more attention to Vimeo, and I’d just sit and watch short ­after ­short for inspiration; I still do ­ I can spend hours glued to Vimeo! I think the first time I came across FilmConvert was when I was doing a search into how to get that ‘film’ look that I’d seen in all these shorts I was watching, and I ended up reading one of Philip Bloom’s blog posts where he talks about LUTs and using James Miller’s DELUTs, but he had mentioned something about FilmConvert too. After I finished reading that article I was really excited to start experimenting. 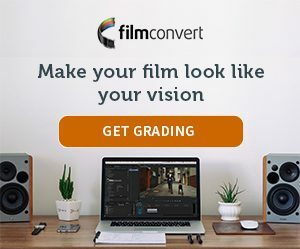 So, the first thing I did was buy a set of James Miller’s LUTs and tried them out, and then I got to a point where I wanted some more freedom in the look of my grade, which is when I jumped in and bought FilmConvert as it had so many amazing reviews. I tried it out and I fell in love with it ­ it gave my films a whole new look! In addition to wanting my footage to look better I stopped shooting films on my Canon 7D Mark II and bought myself the Sony a7s 2, which I think is a fantastic camera. I just wanted more flexibility to be able to really push the grade, so shooting in Slog2 gave me the flexibility I needed. Using FilmConvert for that footage gave me the look I was aiming for for this doc, and I wouldn’t have really been able to achieve that with my 7D Mark II. I wanted the film to have as natural a look as possible, so I wasn’t going for anything particularly cinematic as such, just a neutral look. I used a picture profile of Slog2 SGamut in­camera, and I used the film stock KD5207 Vis3 set to 35mm Full Frame, and I dropped the grain to 0%. I did experiment with the different film stocks, but in the end KD5207 Vis3 was perfect for the look I wanted. Then I did the necessary tweaking of curves, highlights, shadows, and adjusting the whites and blacks. As I cut my videos in Adobe Premiere, I just use the Lumetri panel for those tweaks. Truly inspiring. Great short film, awesome article as well.